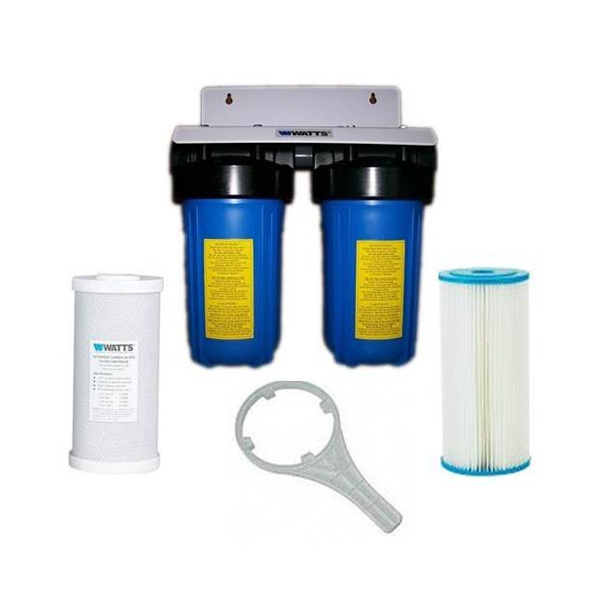 The Osmio Pro 4.5 x 10 Inch Dual Whole House Water Filter System is a top of the range Whole House Water Filter System and comes complete with the filters and accessories you need. 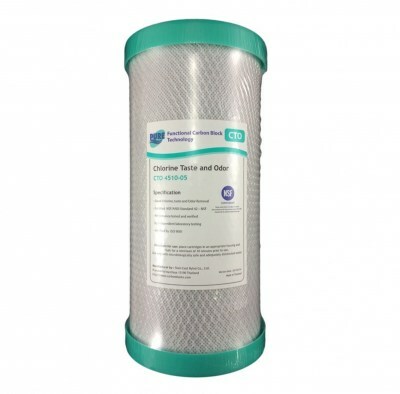 The system will provide 5 micron protection and complete chlorine reduction using the NSF Certified 5 micron Carbon Block. The system also protects your water heater, washing machine, refrigerator, ice-maker, and other appliances from the build-up of sediment, dirt, and rust. 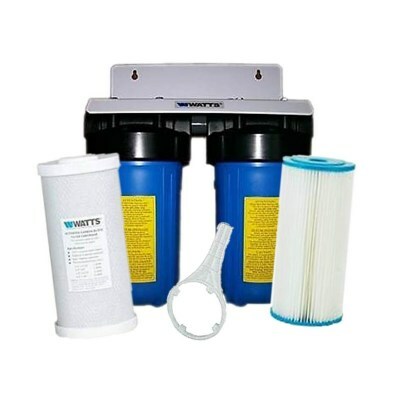 The system is put together using the Osmio 4.5" x 10" Dual Housing and uses a 10" Carbon block and 10" Pleated Cartridge. The system is fitting into the part of the home where the rising main comes into the house, or alternatively at any intersection required (for example if the system way just being used for the kitchen). Below is a quick demonstration of how the system installed (the video shows a Osmio Pro 20inch Whole House Water FIltyer System being installed rather than a 10 inch version but the principle is exactly the same). Installation & Maintenance: we offer our own installation and maintenance service via our national network of approved plumbers. The service is offered subject to availability (dependent on how remote your location is). Thick wall carbon construction for superior performance. Low cost for economy! Reduces Chlorine/Taste/Odor (CTO) and certain Volatile OrganicChemicals (VOC) from drinking water using coconut base carbons for a sweetertaste. 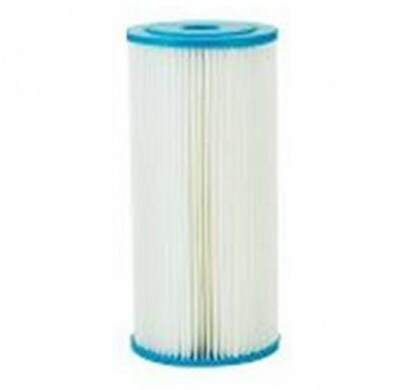 Filter Life: 10,000 Gallons; Recommended filter change every 6 months.